Free trades for certain Chase customers, together with the functionality of managing a basic portfolio are, unfortunately, the bulk of what You Invest Trade offers. As of launch week, there is much to be desired. Universal account management for current Chase customers. Free trading for Chase customers that meet predefined account balance requirements. As of the launch, bugs were present throughout the experience. The research experience trails industry standards, and trading tools are nonexistent. The mobile app lacks a search bar to pull quotes, and watch lists are excluded. JP Morgan Chase, the publicly traded (ticker “JPM”) bank behemoth with over $2.6 trillion in assets, has decided to enter the online brokerage arena. Its offering, Chase You Invest Trade, offers current Chase bank and non-Chase bank customers the opportunity to buy and sell stocks, ETFs, mutual funds, and bonds online. 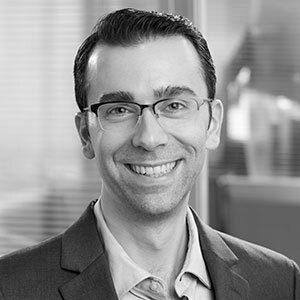 What makes the You Invest Trade experience unique, beyond its integration with Chase Bank, is its offering of free trades. The first 100 trades are free each year for Chase Premier Plus Checking customers ($15,000 min avg account balance); any trades thereafter are just $2.95. Better yet, unlimited free trades are available each year to Chase Private Clients ($250,000 min avg account balance), Chase Sapphire Banking, J.P. Morgan Private Bank, and J.P. Morgan Securities clients. While free trades make for a catchy headline, the concept is not new. Competitor Bank of America, through its Preferred Rewards program, began offering free trades with its online brokerage arm, Merrill Edge, way back in 2014. Outside of banking, venture capital-backed Robinhood was founded in 2013 and has been offering free trading to all customers since day one. Zero-dollar trades aside, to understand Chase’s ambitions, I opened and funded a You Invest Trade account to test the service out. Having placed over 1,000 trades since 2001 with well over a dozen different brokerages, I was curious to see how You Invest Trade would stack up against the competition. The following are my findings. Fortunately, the bank link process went without a hitch this time, and I was able to complete my initial deposit. Considering the current industry’s new account application standards, i.e., quick, bug-free, painless account openings, Chase has room for improvement. Twice I ran into error messages; one time required I restart my application again completely. I was also unable to fund my account during registration due to an error on Chase’s end. Ultimately, patience paid off and my application was successfully sent off. In Chase’s defense, it is worth noting the account creation experience was less than a week old when I started my journey. Furthermore, I am not a current Chase banking customer, which I assume would have made the experience significantly quicker, thanks to having my current information on file. 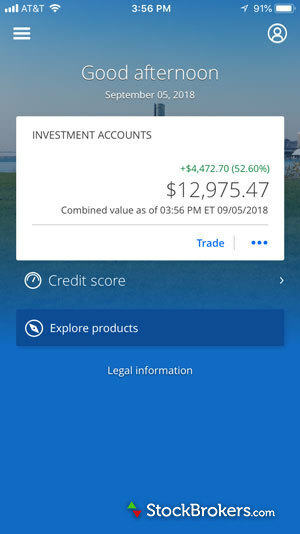 Receiving application approval took less than 24 hours, and thereafter I was able to login to my new Chase You Invest Trade account. Fortunately, the bank link process went without a hitch this time, and I was able to complete my initial deposit. This is the account view within the chase web application. It was Friday at this point, which meant I had to wait until the following weekday (T+1) for my deposit to clear (current Chase Bank customers can transfer funds internally in real-time). My new account was up though, and I would soon be ready to place my first trade. Options are not supported. Also excluded are pre- and post-hours trades alongside less frequently used order types such as trailing stop orders and conditional orders. You Invest Trade has no minimum deposit to open an account, and, as part of its launch, all new customers receive 100 free trades for the first year, regardless of account balance or banking status. This is the offer I took advantage of. Beyond this, fees are just $2.95 per trade. While stocks, ETFs, mutual funds, and bonds are all available to trade, options are not (for options trading, see our guide to the best options brokers). Also excluded are pre- and post-hours trades alongside less frequently used order types such as trailing stop orders and conditional orders. Chase Premier Plus Checking customers ($15,000 min avg account balance) – First 100 trades free each year. Chase Private Client ($250,000 min avg account balance), Chase Sapphire Banking, J.P. Morgan Private Bank, and J.P. Morgan Securities clients – Unlimited free trades each year. It is important to note that You Invest Trade offers ~2,700 mutual funds as of its launch. All mutual funds offered are no transaction fee (NTF) funds, so there is no commission charged and trades do not count against free trades allotted to the account. Without question, Chase You Invest Trade’s approach to free trading is modeled on Bank of America Merrill Edge and the Preferred Rewards program. With Preferred Rewards, at least $50,000 (Platinum status) is required to receive up to 30 free trades each month, which is certainly more than $15,000. That said, Preferred Rewards comes with a slew of additional benefits, including money market savings boosts, credit card bonuses, and more. Compare You Invest vs Merrill Edge. All in all, filling out the trade ticket was painless. My deposit cleared on time and I was ready to place my first free trade. Whenever testing for StockBrokers.com, I always buy the Vanguard S&P 500 ETF, ticker VOO, and more or less call it a day. Compared to other online brokerages, the order screen has some room for improvement from a design and usability standpoint. For example, placing the quote information on the far left doesn’t make much sense. However, I did appreciate seeing the free trades counter being clearly displayed. All in all, filling out the trade ticket was painless. You Invest Trade order ticket. From the trade ticket, an order confirmation window popped up, and after placing the order, my trade executed without a hitch. The order status page then displayed the execution price and my free trades counter updated to 99. You Invest Trade order status. Success. I now officially had a portfolio established with You Invest Trade. Trading aside, it was now time to set up a watch list and test out the tools, explore the research capabilities, and find out what else You Invest Trade has to offer. Beyond placing trades, viewing your account information (holdings, orders, etc. ), basic watch lists, basic quotes, and some light fundamental research (see next section), You Invest has little to offer. In defense of Chase You Invest Trade, the service is brand new as I write this review in late August 2018. As one can imagine, the focus for Chase is getting the service up and running and squashing any bugs. Preface aside, I was not surprised when I found there is no downloadable trading platform, and only one trading tool, Portfolio Builder, is available through the website. In fact, beyond placing trades, viewing your account information (holdings, orders, etc. ), basic watch lists, basic quotes, and some light fundamental research (see next section), You Invest has little to offer. You Invest Trade account summary. Taking a closer look at Portfolio Builder, it is accessible only to accounts with at least $5,000 available to invest. I emphasize, “available to invest,” because when I went to use Portfolio Builder for the first time, the tool was unavailable, despite my $8,500 initial deposit. The hold up? I had invested $8,000 already when I placed my first trade and bought 30 shares of VOO. Whoops. So, I went ahead and transferred another $4,500 into my account and patiently waited for access. Fast forward another day, and Portfolio Builder was unlocked in my account. Using Portfolio Builder was mostly straightforward. I followed the steps and hand-crafted a diversified portfolio. While traditional robo advisors simply funnel you into one of several predefined portfolios, Portfolio Builder does the same but requires you to choose the exact holdings, then allows you to modify the weightings for each holding. I ran into a bug during this step but was eventually able to get it to work. Chase You Invest Trade portfolio builder overview. While J. P. Morgan funds were included in the selections and dominated the landscape, they weren’t the only options, which was nice to see. No doubt, a simplified, less customizable version of Portfolio Builder will likely be the foundation for Chase You Invest Portfolios, Chase’s robo advisor, when it launches in 2019. Here’s a look at my final portfolio recommendation. Chase You Invest Trade portfolio builder allocation. After my run through with Portfolio Builder, the tool was good but could use some more polishing. The bug during customization was unexpected, and, more importantly for the average investor, having significant input as to what goes into the portfolio and how each holding is weighted is not ideal. I would recommend using Portfolio Builder solely for educational purposes and wait for Chase’s robo to launch in 2019. Overall, You Invest Trade provides investors the bare bones basics to place trades, and that’s it. Being a trader, I was left wanting more. UPDATE September 17th, 2018 – You Invest Trade has launched three investment screeners: stocks, ETFs, and mutual funds. I found all three screeners to be easy to use and cleanly designed. The availability of these screeners is not reflected in my original review. J.P. Morgan PDF research reports available for certain equities and general market commentary are the sole highlights in an otherwise lackluster research experience. Unfortunately, Chase’s research offering isn’t much better than the trading tools experience. Quotes are easy to pull but the information provided, on the whole, is nothing unique that cannot otherwise be found at Yahoo Finance. Again, this is either deliberate because Chase’s focus is on free trades or just a result of being a freshly launched brokerage. Here’s a look at the primary U.S. market overview page. You Invest Trade market overview. And here’s a quote page. You Invest Trade stock quote Apple. Quotes for ETFs and mutual funds fare much better thanks to the inclusion of basic Morningstar data, but still lag far behind industry standards. Furthermore, while the provided fundamental data and stock news are both underwhelming, charting is also nothing special. Compared to the leading online brokers, Chase You Invest leaves much to be desired. When it comes to charting, there is nothing here that can’t be done for free at TradingView or StockCharts.com. You Invest Trade stock chart. For the average investor though, everything required to conduct basic chart analysis is present, including customizations of time frame, bar type, event markers (e.g., earnings or dividends), and a respectable 20 optional indicators (think simple moving averages, Bollinger bands, volume, and stochastics). Stock and index comparisons can also be conducted. Stepping away from charting, without question, the two highlights of using the research area were the inclusion of J.P. Morgan Equity Research reports (available only for certain securities) alongside the general in-house market commentary articles. When it comes to including a third-party research report, I found the J.P. Morgan Equity Research reports to be nice, but again, nothing unique. Firstrade offers PDF reports from Morningstar with free trading for all customers, regardless of account balance. Similarly, for just $4.95 per trade, investors can access 12 third-party reports at Fidelity. That said, one available is better than none and J.P. Morgan’s research team does a thorough job. Here’s a look. You Invest Trade stock research Facebook. The other highlight, also from J. P.Morgan’s research team, is the weekly market analysis articles. Considering that J.P. Morgan Asset Management manages over $1.7 trillion as of the 2017 year-end, I was not surprised to see their research present in You Invest Trade. On the whole, I found the market analysis articles to be informative and insightful, and one can imagine there will be much deeper integrations in the future as You Invest Trade evolves. You Invest Trade market research. Highlights aside, the watch lists are very basic, sporting only four columns of data and sorting for just Symbol and Price. Yes, there are real-time quotes, but they are not streaming, which is the same throughout the entire You Invest Trade site. You Invest Trade watch list. One final note here on research: while a lack of streaming real-time quotes throughout You Invest Trade was disappointing, I was more annoyed by the constant account time outs whenever I went to check my email or work on this review draft. For investors who prefer to remain logged into their accounts and check back throughout the day for quotes and research, You Invest Trade is not accommodating. Needless to say, the J.P. Morgan PDF research reports available for certain equities and general market commentary are the sole highlights in an otherwise lackluster research experience. In the Learning & Insights section of the site, market reports are accompanied by educational articles and videos, which I found to be well put together. In particular, I really enjoyed the videos, which reminded of the animated educational videos found at TD Ameritrade and Investopedia. I counted only seven in total, but given the strong foundation, I look forward to checking back in the months ahead to see how the area progresses. You Invest Trade education video diversification. In a nutshell, the mobile experience gets the job done, but it needs works. Chase makes it easy to manage your You Invest Trade account via the regular Chase mobile app available through both Apple iOS and Android. Once logged in, you can view and manage all your Chase accounts, both banking and brokerage. Chase You Invest Trade mobile dashboard. In a nutshell, the mobile experience gets the job done, but it needs works. There is no search box to quickly jump to individual quote pages. Also, while you can add securities to your watch list from a quote page, there is no way to access your watch list. The list goes on. Bottom line, the app is good for placing trading and managing the core necessities, but nothing more. For now, this works, and having mobile access at launch is a great benefit. That said, as a sophisticated investor, my hope is that Chase eventually creates a dedicated app just for You Invest Trade. Banking and brokerage do not go hand in hand, especially from a tools and account management standpoint. The counter argument is that Chase You Invest Trade is designed for basic trading and stock research only, and that may be all Chase wants it ever to be. Keeping mobile unified and simple would be most similar to online bank and broker Ally. In that case, one universal Chase app is a winner. As I write this review, You Invest Trade is a brand-new online brokerage service that is barely a week old; online trading is complex, and the rabbit hole of potential features to add is endless. Chase You Invest Trade has arrived and is targeting investors who require only the basics to trade stocks and manage a portfolio. Given the lack of product depth across the board, anything but free trades would be a severe disappointment at this stage. Without question, it is easy to pick apart the You Invest Trade experience. The service is littered with bugs throughout, no tools beyond Portfolio Builder are offered, and the research area, in most regards, trails the free research provided at Yahoo Finance. Even the mobile app needs work, and lacks a simple search box to jump to individual quote pages. That said, You Invest Trade is a brand-new online brokerage service that is barely a week old; online trading is complex, and the rabbit hole of potential features to add is endless. My bottom line takeaway is simple: if are already a Chase customer and all you need are the bare bones basics to buy some shares of your favorite stock, ETF, or mutual fund, then take advantage of Chase’s free trades. If you don’t meet the minimum for free trades, or you desire a complete brokerage experience, there are many great brokers to choose from. Curious to know what You Invest does and does not offer? Don’t worry, we have you covered. Here are the answers to the most common questions readers are likely to ask. Q: Does You Invest Trade require a minimum deposit top open a new account? No. There is no minimum deposit required to open an account. Q: What account types are available? Individual or joint accounts (taxable) as well as traditional and roth individual retirement accounts (IRAs). Q: Does You Invest Trade offer options trading? No. While stocks, ETFs, mutual funds, and bonds are all available to trade, options are not. Q: Does You Invest Trade offer free trading? Q: How do I get free trades? The first 100 trades are free each year for Chase Premier Plus Checking customers ($15,000 min avg account balance); any trades thereafter are just $2.95. Q: How do I know if I qualify for free trading? Free trades are automatically credited to your You Invest Trade account after completed registration and funding. A counter on the website shows how many free trades are left available. Q: What happens if I run out of free trades? Once your account runs out of free trades, a base charge of $2.95 per trade is applied moving forward. Q: Can I trade penny stocks with You Invest Trade? No. Penny stocks trading is not currently supported. Q: Does You Invest Trade offer stop loss orders? Yes, basic stop loss orders are offered. However, trailing stop loss orders are not currently offered. Q: Does You Invest Trade offer streaming real-time quotes? No. While there are real-time quotes offered throughout the site, they are not streaming. Q: Can I trade stocks with You Invest Trade after the stock market closes? No. Pre- and post-hours trades are not currently supported. Q: Which mutual funds can I trade for free? Here is a list of all the mutual funds Chase You Invest offers for free trading. Q: Does You Invest Trade have a mobile app? You Invest Trade accounts can be accessed via the regular Chase mobile app available through both Apple iOS and Android. Select one or more of these brokers to compare against Chase You Invest Trade. Find out how Chase You Invest Trade stacks up against other brokers.